There are definitely a few features lacking in the way paid content is handled in Google Play – gift codes and free-to-paid app transition, for starters. According Google's GDC announcement, the company isn't addressing those issues in particular, but some other features are coming to Google Play in the form of some new developer options and support for in-game gifts. The most user-facing change is the new "game gifts" feature. This will allow you to send items to friends within a single game ecosystem. So, if you're playing Candy Crush Saga (for some reason) you could potentially send a lollipop hammer to someone in your circles. 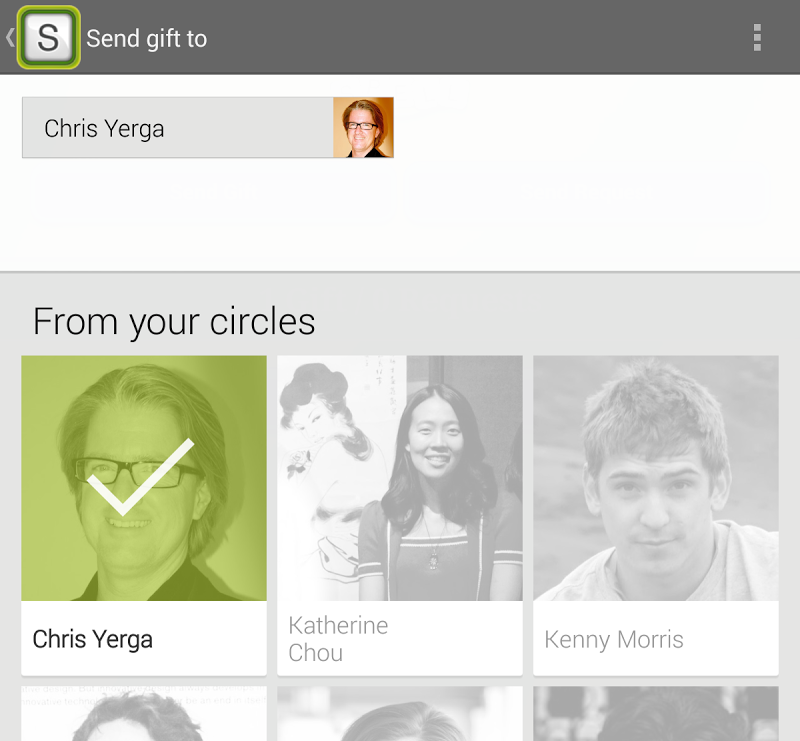 Google Play Games will also support sending gifts through regular player search. Developers will likely need to add support for this process before you can use it. We checked with Google just to make sure, and game gifts are not tied in with in-app billing or regular store purchases at all. It's not the feature we've all been waiting for, so it's an interesting direction to go. Gifts of this sort don't seem like a in-demand feature, but perhaps this indicates more gifting-type stuff is on the way. Along with this change, the previously announced game categories will be rolling out in Google Play, 18 of them in all (after being delayed). There's also a new way to integrate ads for in-app purchases into games. Multiplayer is getting a tweak to support cross-platform play with iOS through the Play Games Unity Plug-in and Play Games C++ SDK. Of course, developers will need to add support for this as well. An update to the Play Games app makes multiplayer a bit more consistent too. Users are now able to initiate multiplayer matches in any supported game directly from that app instead of in the game itself. That's the gist of it, but you can check out the full PR below. Today, everyone is a gamer. In fact, 3 in every 4 Android users are playing games, allowing developers to reach an unprecedented audience of players in an Android ecosystem that’s activated over one billion devices. This has helped Google Play Games--Google’s cross-platform game service and SDK for Android, iOS and the web (which lets you easily integrate features like achievements, leaderboards, multiplayer and cloud save into your games)--grow at tremendous speed. The momentum continues on Google Play, where four times more money was paid out to developers in 2013 than in 2012. 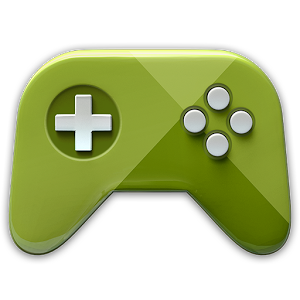 With the Game Developers Conference (GDC) this week, we’ll be launching a number of new features for Google Play Games and other Google products. As they launch over the coming weeks, these new services and tools will help you unlock the power of Google to take your games to the next level. To help players get the most out of your games, Play Games will be expanding engagement and discovery options. We’ll be introducing game gifts, a new service that lets players send virtual in-game objects to anyone in their circles or through player search. The Play Games app now supports multiplayer invites directly, further helping players discover your game and keep them playing. And the Google Play Store will also feature 18 new game categories, making it easier for players to find games they’ll love. Further enhancing Google Play Game services, we’re expanding multiplayer to support iOS, bringing turn-based and real-time multiplayer capabilities to both Android and iOS. To further help with cross platform game development, we’re updating our Play Games Unity Plug-in to support cross-platform multiplayer services, and introducing an early Play Games C++ SDK to support achievements and leaderboards. In addition, we’re launching enhanced Play Games statistics on the Google Play Developer Console, providing easy game analytics for Play Games adopters. Developers will gain a daily dashboard that visualizes player and engagement statistics for signed in users, including daily active users, retention analysis and achievement and leaderboard performance. Of course, once you build a great gaming experience, it’s important to get rewarded for your work, which is why we’ll also be introducing new features to the AdMob platform. We’re making Google Analytics available directly in the AdMob interface, so you can gain deeper insights into how users are interacting with your app. Turning those insights into effective action is vital, so we’re excited by the opportunities that in-app purchase ads will offer — enabling you to target users with specific promotions to buy items in your game. Advertising continues to be a core vehicle driving many game developers’ success, so we’re also bringing you new ways to optimize your ads to earn the most revenue.